CAROL STREAM, USA -- Last June, pro-Russian separatists raided a church service in eastern Ukraine and kidnapped four Christian leaders. 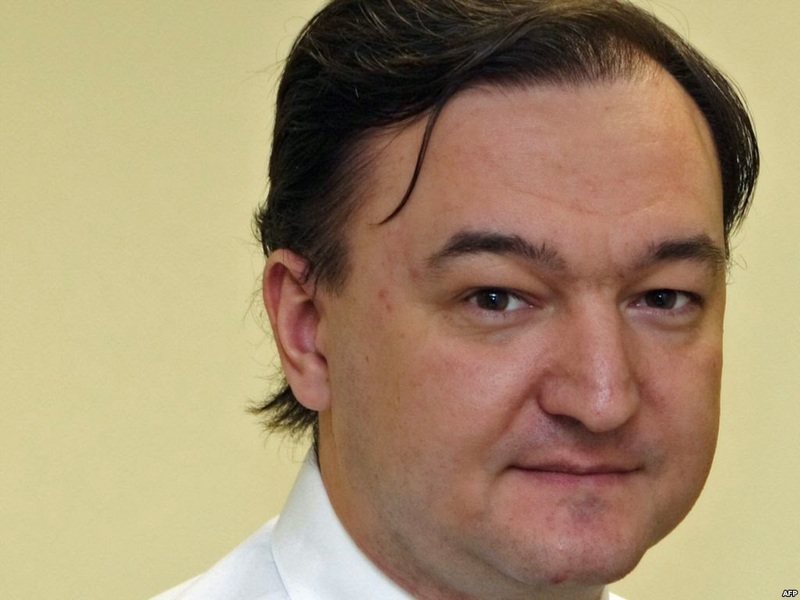 Sergei Leonidovich Magnitsky, Russian attorney whose arrest and death in police custody generated international media attention and launched an investigation into allegations of abuse. Some 35 days later, authorities discovered the bodies of the four, who had been tortured, in a mass grave. The killings in Slovyansk, eastern Ukraine, galvanized Christian outrage. Nearly a year later, pro-Russian separatists still dominate the eastern region and non-Russian Orthodox religious groups face many hardships, according to the US Commission on International Religious Freedom (USCIRF). Forum 18, a religious liberty news service, also reports new concerns about religious freedom in Crimea, the former Ukrainian autonomous republic, annexed by Russia in March 2014. Last week, top Christian leaders, mostly Ukrainian, gathered in London and signed a resolution, condemning the ongoing violence and aggression and remembering the four men who were murdered. “The armed conflict in the eastern part of Ukraine has led to a humanitarian catastrophe. Whole towns and villages have been destroyed and several thousand civilians and soldiers have been killed. The conflict has created more than 1.5 million refugees,” the resolution said. It notes: Protestants and Catholics experience “violent persecution” at the hands of pro-Russian separatists. This would include Ukrainian Orthodox churches. Pro-Russian groups have seized church buildings and educational facilities of Baptists and Pentecostals, using them for military barracks or other purposes. The resolution welcomes relief efforts from the church worldwide and affirms the goal of peaceful resolution and reconciliation. “The church is the entity that enjoys the highest level of credibility and trust within Ukraine and is key to the process of reconciliation,” the resolution says. Russian President Vladimir Putin and Russian Orthodox Patriarch Kirill have denied any direct involvement or sponsorship of aggression in eastern Ukraine. Kirill said this in a 2014 letter to Ecumenical Patriarch Bartholomew in Istanbul. The Russian government and the Orthodox church have extensive ties and the state provides subsides to underwrite Russian Orthodox activities. In addition last week, the US Commission on International Religious Freedom released its annual report that re-affirms that Russia’s laws and the actions of its people are hostile to religious freedom for minority groups inside Russia itself, annexed Crimea, and eastern Ukraine. USCIRF classifies Russia as a Tier 2 nation, meaning that there is evidence of “systematic, ongoing, and egregious” violations of religious freedom. But those violations are not as severe as in Tier 1 nations, such as North Korea. The report cites the aggressive actions of the 4,000-man Russian Orthodox Army (ROA) as one of the most harmful actors in eastern Ukraine. According to credible reports, the group has destroyed church property, raided a Protestant orphanage, taken a Catholic priest as a hostage, and participated in other violence. An insurgent group, the ROA is not part of Russia's military force, but gains support from sources inside Russia. A Russian nationalist billionaire, Konstantin Malofeev, funds a charity that allegedly supports the ROA. The evidence against Malofeev is persuasive enough that the US government and the European Union have sanctioned him. USCIRF called for the release of religious prisoners and for Russian officials responsible for severe violations of religious freedom to be banned from entry into the United States under the Magnitsky Act, named for the crusading attorney who was arrested and died in a Russian prison in 2009.